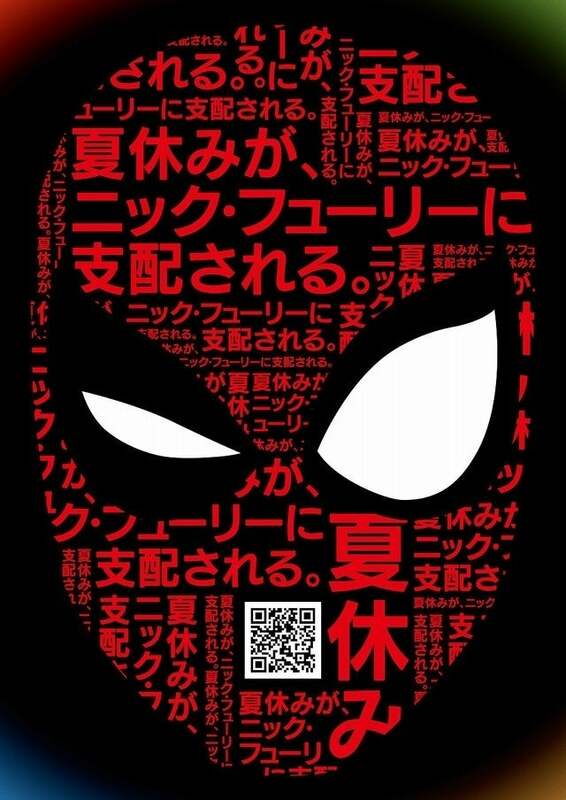 Sony Pictures has released a Japanese poster for Spider-Man: Far From Home, featuring a QR code linking to its Japanese trailer. A two-week overseas vacation brings Peter Parker (Tom Holland) to Venice, Prague, and London, where the wall-crawling superhero is tasked by Nick Fury (Samuel L. Jackson) with combating elemental-powered creatures assaulting Europe. Far From Home filmed in London as well as the Czech Republic’s Prague and Liberec, before moving on to Venice and New York City. “You’d expect a film like this, of this scale, to be shot in front of a green screen, but we are sailing down the main canal of Venice and we are shooting in the main square of Prague, and we are putting these very incredible characters in very incredible places,” Holland said at Brazil’s CCXP in December. Set photos captured in Liberec revealed the site of a confrontation between a black suit-clad Spider-Man and Mysterio (Jake Gyllenhaal), who will at first be backed by S.H.I.E.L.D. and will have a “brother-in-arms” relationship with Spider-Man, Holland revealed. “We were so lucky this time. We took our favorite characters to London, to Venice, to Prague, to New York,” Holland said. The “Elementals” are understood by Mysterio, “who knows about them and wants to make sure that the world is safe from them,” Gyllenhaal added. Starring Tom Holland, Zendaya, Jacob Batalon, Jon Favreau, Marisa Tomei, Colbie Smulders, Jake Gyllenhaal, and Samuel L. Jackson, Spider-Man: Far From Home swings into theaters July 5.